SEMA was so much fun getting beds ready for! 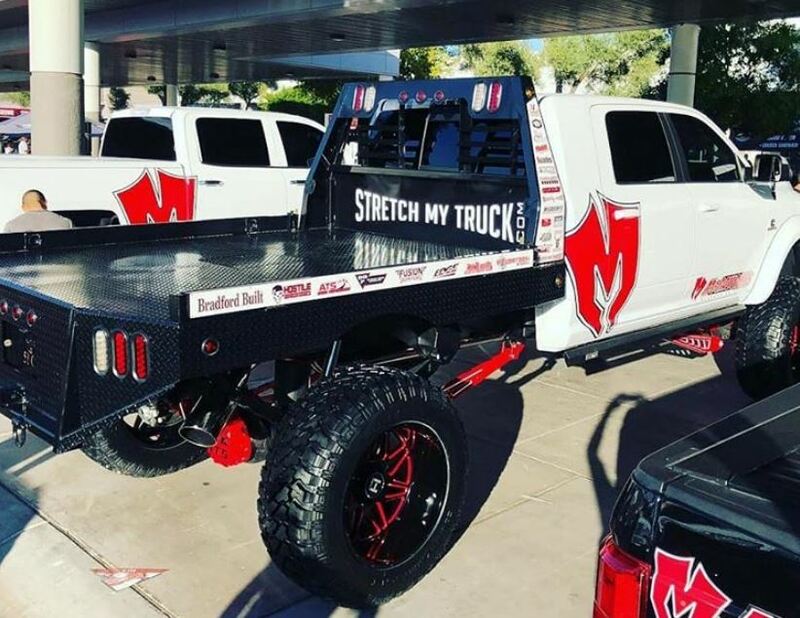 We met a lot of cool people that have a true love of trucks! We joined forces with Truck Guru, Five R Trucks, Powertech Diesel, CJ Dunlap, and Offset Kustoms. 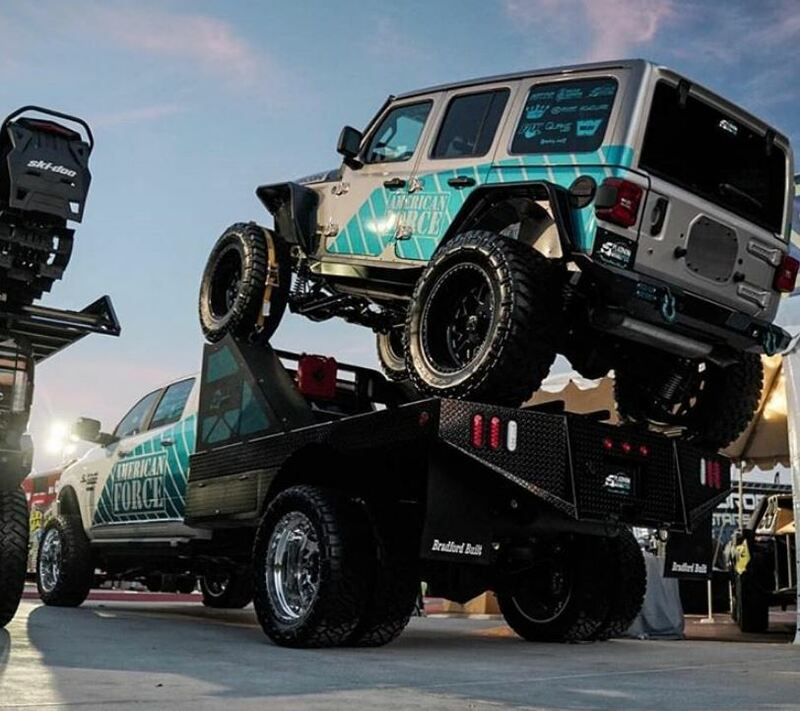 A couple builds didn't make it to 2018 but are scheduled to be at 2019 SEMA. Can't wait to see what all is in store for future builds! 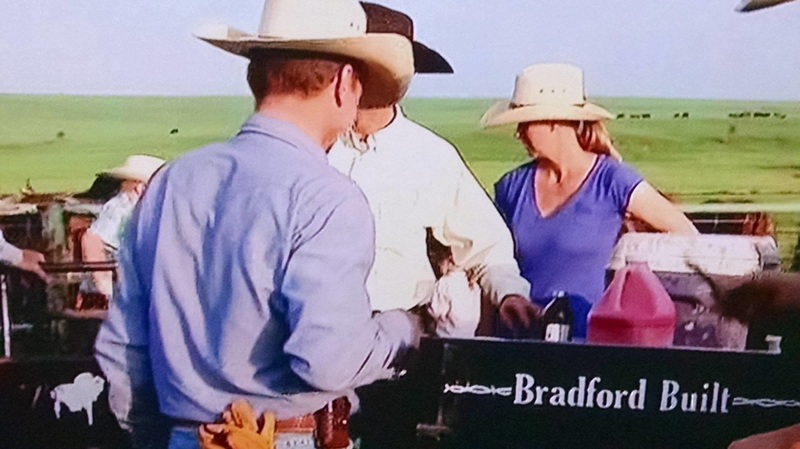 The Pioneer Woman and her husband having lunch on their Bradford Built Workbed. 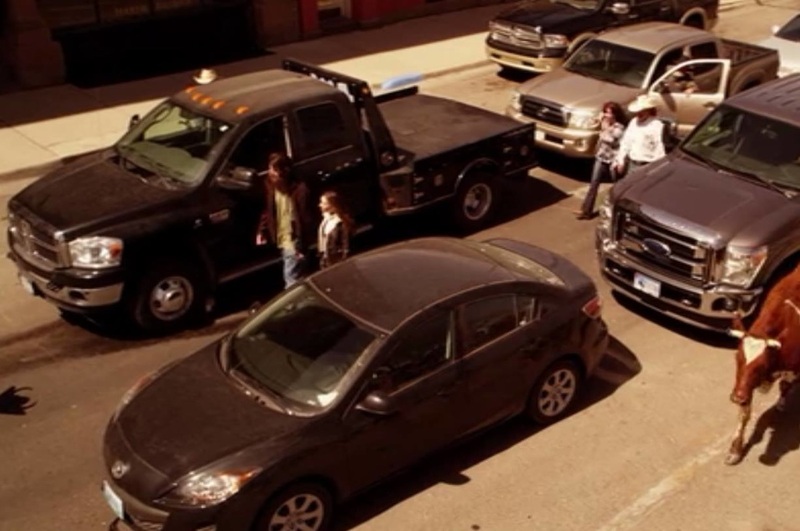 We were spotted on Longmire! 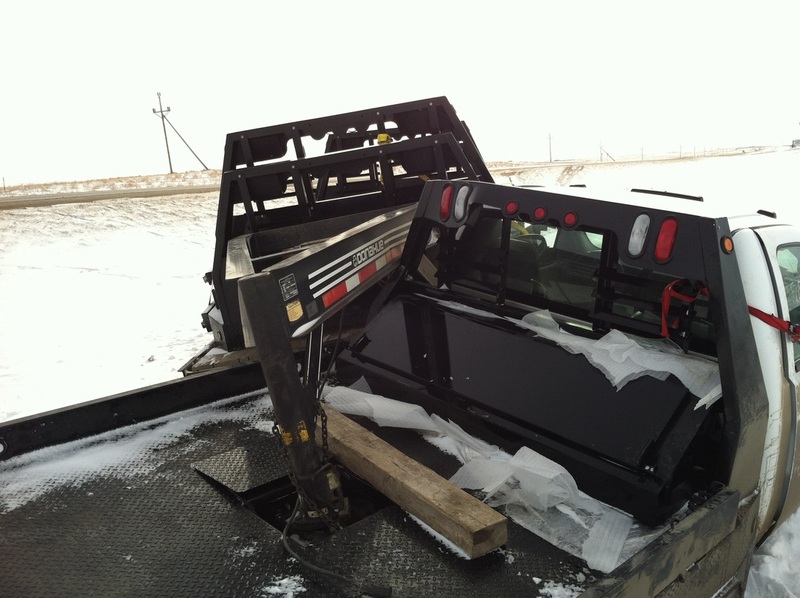 "My truck trailer and new beds, the driver hit black ice. The headache rack saved my driver." Hello I am emailing you to say your flatbeds live up to their strength. 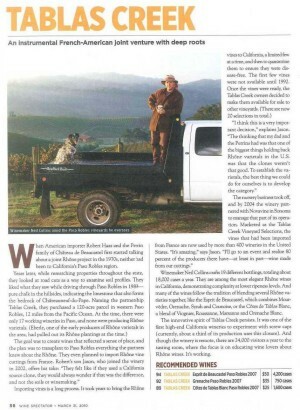 I drive a 2003 Ford F-450 with a Bradford Built on it. My pickup was just in an accident when I wasn't around a Chevy dually crashed into my pickup at 50 plus mph and tore the axle out from underneath it plus breaking it in half. My pickup only suffered a bent rim, a shattered back window, a bent leaf spring. I swear up and down that flatbed saved my pickup from being totaled completely. Plus, the Bradford only suffered two tiny almost unnoticeable dings in it. I love your flatbeds, keep up the work. 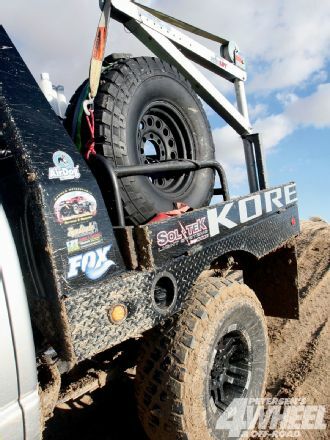 "The first time we saw Joe Salas Dodge we were driving back from the Baja 1000 and here was this flatbed chase truck cruising up the highway. It was covered in dirt, and it looked like a great post-apocalyptic truck. 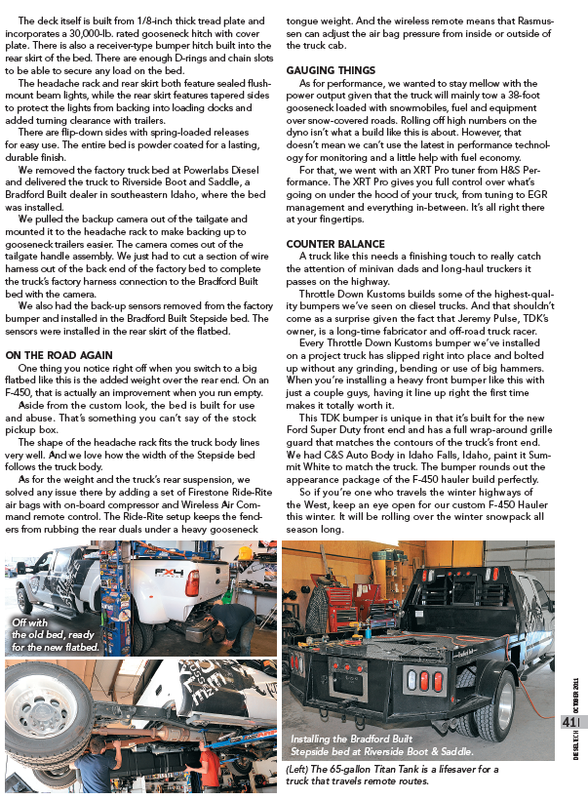 All the gear on the Bradford flatbed is perfect for keeping a race team moving down the track or surviving in a world infested by zombies. " "I would like to thank you for making such a good bed. 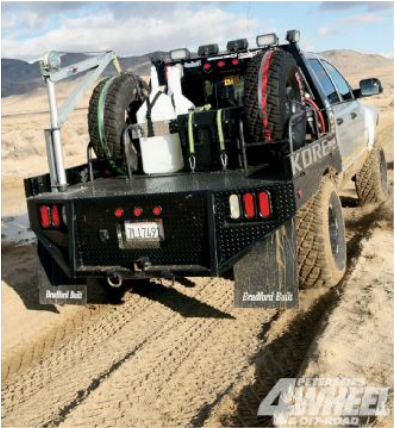 I chase for Kore Racing we tested the bed in the Baja 1000; it worked perfect. We used the bed to carry spare parts with heavy load we bombed the desert of baja even hit the back of the bed on a wash run at over forty. It was great. People love the look." "Just a thank you for building such a QUALITY bed! If I had bought another brand I might not be typing this right now. I did a lot of research when looking for bed to fit my Dodge Dually. I looked at a few different ones but kept coming back to Double W Sales in Missoula MT. As they actually had a 10ft bed in stock. Anyway we had a widow maker fall the wrong way Sunday about 79ft long Lodgepole pine hit the headache rack right above me with minimal damage to the bed and no damage to the truck! So when I buy another bed it will be a Bradford again as I have a 1976 Dodge W200 that will get one this spring." 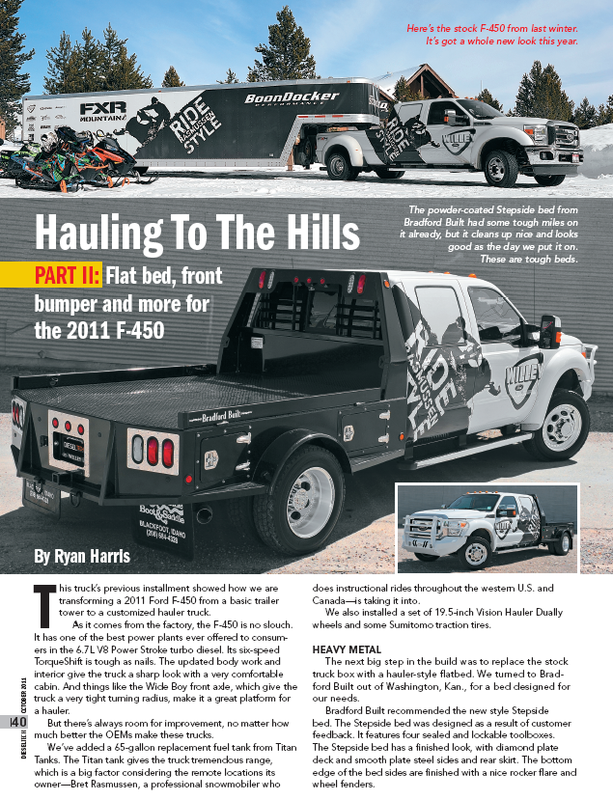 " My husband loved the flat bed that we bought from you and it most likely saved his life. 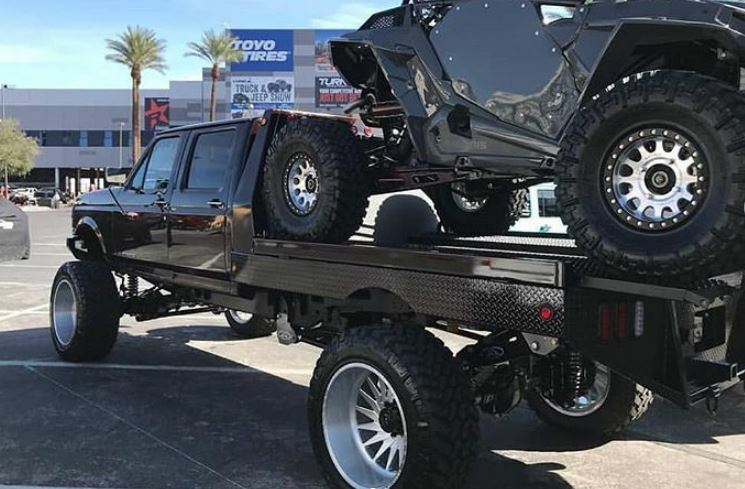 I am certain that when he gets another truck he will want a flat bed and we will most definitely be going to your business. You have a truly fantastic product and wonderful customer service." 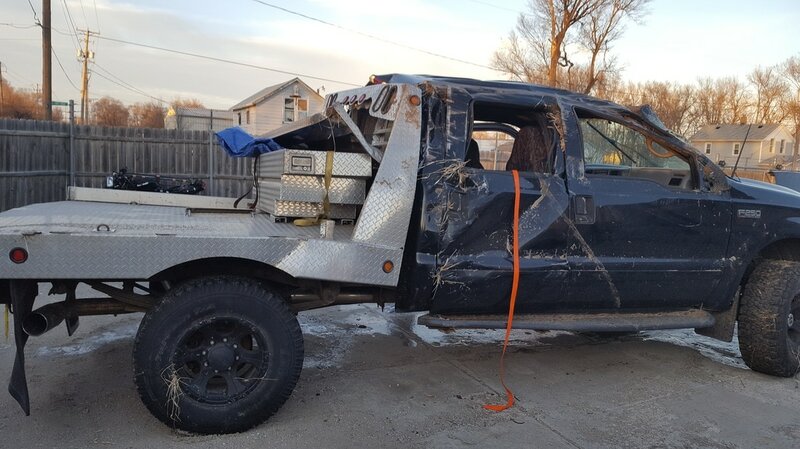 This is what happens when you hit black ice and roll your truck. The headache rack of this bed definitely aided in protecting the passengers. So happy to hear they are okay! Hey just wanted to share what happened to my truck. I was hit by a car in my passenger side rear tire.. car was determined totaled and my truck didn't have a scratch on it just put Little hole through my tire that's it! The flatbed definitely saved my truck and I will forever be putting Bradford's on my truck. You can see on the car where the hood went under my flatbed didn't even take the paint of my bed. Your beds rock. We love getting these success stories on our beds. So happy that everyone is okay!